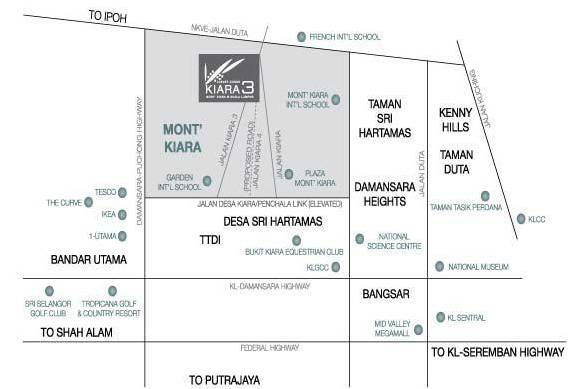 Kiara 3 is a brand new freehold condominium development tucked away at the end of Jalan Kiara 3. 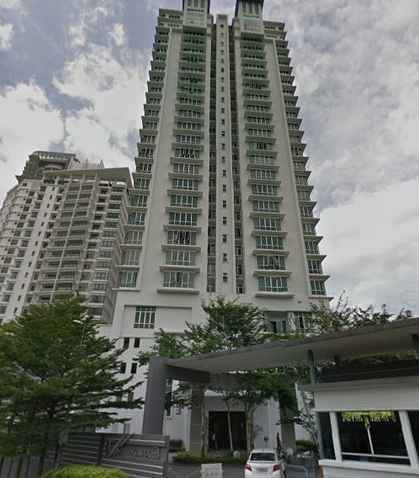 The condo consists of a single 22-storey tower block with a total of 160 residential units occupying Level 5 to Level 22. The floors below this comprise of recreational areas such as the swimming pool, squash court, gymnasium, cafeteria and sauna. The parking bays are also located on the lower levels. Aside from this, Kiara 3’s facilities also boast of a reading room and beautifully landscaped gardens. 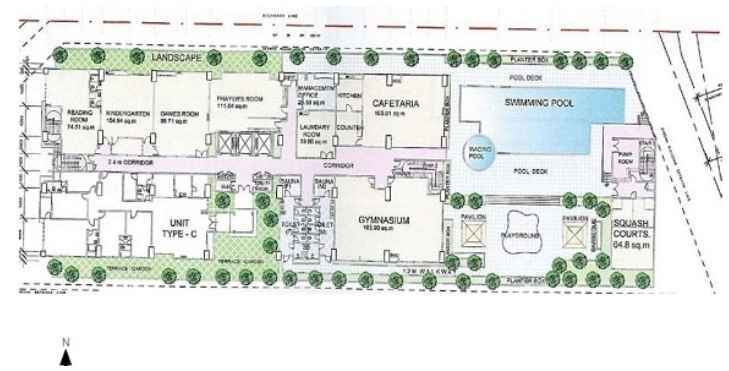 Kiara 3 comprises of 8 layout designs boasting of spacious living rooms, kitchens. There are 8 types to choose from the development of Aston Kiara 3. Type 1 and 2 comprises of 1,598 sf built-up with 3 bedrooms, 3 bathrooms. Type 1 is facing the west – overlooking the green hills. Type 2 overlooks Mont Kiara vicinity to the south. The typical unit at Aston Kiara 3 is designed with an open plan area for living, dining and kitchen area. The master bedroom comes with an en-suite bathroom, whilst second and third bedrooms share access to the 2nd bathroom. Each unit comes with a yard. Type 3, 3A and 5 units measure 1,518 sf of built-up. The 3 and 3A units come with 3+1 bedrooms and lanai (except Type 3A). Type 3 units are facing the north. Type 3A units are facing the south. Type 5 units come with 3 bathrooms, 2 bathrooms are en-suite for master bedroom and 2nd bedroom. Type 7 and 8 units of Aston Kiara 3 have built-ups of 1,598 sf with 3 bedrooms and 3 bathrooms. The master bedroom comes with en-suite bathroom, whilst second and third bedrooms have shared access to the second bathroom. Type 7 units are facing the north and the east.